Merry Christmas everyone!! 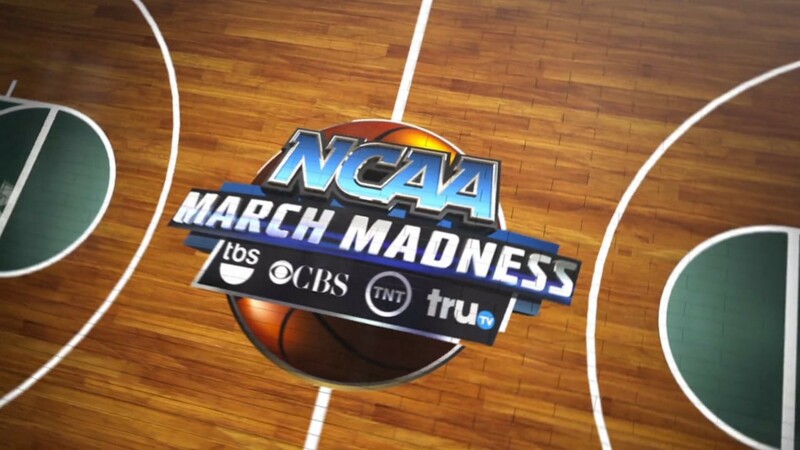 March Madness is here at last. For hundreds of thousands of people that means a nice break from winter to dip into a lovely March Madness pool or two (or eight, but who’s counting?). Bracket pools are great, but everyone does a bracket pool. Your mom does a bracket. Your neighbor’s 4-year-old kid does a bracket. Janice from accounting even does a bracket — and she won last year. If you really want to make some waves, it’s time to add an extra contest or two to your March Madness. Can I interest you in a Survivor pool where you and your buddies have to make a correct pick each day of the tournament, last one standing wins? How about a fantasy draft where you pick teams and are awarded points by how they outperform their seed? Trade in your March Madness bracket pool for a fantasy draft! Why not fantasy draft in March too?? You know that high you get filling out a fresh blank bracket Thursday morning and the empty feeling you’re left with 24 hours later when the entire thing is in shambles? What if there was a way to learn as you watch the games and keep making new picks the whole tournament? You have to pick two teams for Thursday’s games, two more Friday, then one each day of basketball after that. You can NEVER reuse a team. If any team you pick loses, you’re out. Last one standing wins. The Survivor pool costs five Skittles to enter. Everyone likes Skittles. If you lose, you can rebuy. Rebuys cost five Skittles each time. To rebuy Thursday, you need 2 new picks. Friday rebuy is 4 picks. Saturday is 5 picks, and Sunday is 6. You can rebuy immediately the day you lose or wait til the following day, and you can’t pick any team you’ve already used (even if they won or didn’t even play yet). You have to make a correct pick to advance. If the contest is down to two and one person picks Duke while the other has no one left to pick, but Duke loses, no one won — both people just try again the next day. Winners gets all the Skittles. Or whatever. Ideally you want 8–25 people for a Survivor pool. The more people playing, the more risks people will want to take early. It’s harder than you think to outlast the entire field and still have teams left to use in the Final Four. The beauty of Survivor is you get to learn as you watch games and adjust your picks as you go. You need to plan ahead. Make sure you have multiple options available for picks later. Oh sure you’re confident Gonzaga and Villanova will win Thursday, and you’ll feel real smug when you coast to victory while a few people lose when St. Mary’s goes down. You won’t feel so smart when you’re missing the 1-seeds next Thursday and have to pick UNC Wilmington over Villanova because you used all the good picks. The easier you make it on yourself early, the harder it will be later. If there’s a team you’re confident will win a game but you won’t ever be confident in them again after that, they’re a good pick. The end game gets especially complicated. In upset-heavy years, the whole thing might be over the first weekend. If it’s like last year, your Survivor pool may last all the way until Championship Monday, and the picks you made along the way will dictate the few choices you have left at the end, if any. You’ll also want to pay attention to who your opponents are picking and gameplan accordingly. It’s complicated. That’s the fun of it. I usually allow multiple entries, but I’ll leave that up to you. You might want to set up a tiebreaker rule in advance, or just allow a split at the end as needed. Feel free to add whatever other rules make it fun for your group. Maybe everyone gets one Whammy pick where they can repeat one team any one time the entire tournament, for example. Survivor pool is awesome. I can’t stress this enough. It’s like moving from your friendly neighborhood night poker game to the real deal in Vegas. Once you try it, you’ll never look back. Shout to Bill Simmons. I think I adapted this from an idea in one of his old ESPN columns. Michigan State: biggest March upset ever? Is March Madness all about the underdog? Is it more fun to root for that 13-seed Cinderella run than the 1-seed dominating all the way? Are you ticked you had Notre Dame AND Wisconsin correct in your Elite Eight last year but it didn’t matter because your champ Michigan State lost the first day? Then how about a fantasy draft that rewards every team for outperforming its seed? You and your friends draft March Madness teams. Each team gets one score at the end of the tournament based on how much a team outperformed its seed expectation. Most points wins. You probably need at least four drafters and can use any number up to about 16. Any number is fine, odd or even. Your draft should be long enough so about 55–60 teams are taken. You do the math. If there’s five of you, do 11 rounds. If there’s eight, 7 rounds. Cut off the last few teams from getting drafted. No one knows anything about them anyway, and you shouldn’t win for lucking into some random 16-seed winning a game with your 63rd pick. Draft snake-style. Whoever picks last in the first round leads off the second. If you want to play for Skittles, put everyone in for five or ten Skittles, most points wins all the Skittles. Yum. So you pick (2) Duke. If they lose right away, you get nothing. Win once and lose in the Round-of-32 and you get one point. Win three times and lose in the Elite Eight, you get five. They’re worth 23 if they win it all. Notice some things worth the same number of points. It’s about the same for a 1-seed making the Final Four as a 4-seed in the Elite Eight. A 1-seed losing in the title game is equal to an 8- or 9-seed making the Sweet Sixteen. (1) Kansas winning it all is worth the same as (6) SMU making the Final Four or (14) Florida Gulf Coast heading to the Sweet Sixteen. Every pick matters. Here’s a draft from last year. The picks are listed in the order made. Alex picked first, Gail went 7th and 8th, and so on. Teams that scored at least five points are bold italicized. Take a look. Last year’s big outlier was Syracuse making the Final Four as a 10-seed, the first ever to do so. They were the 51st pick and scored the most of any team, more than 14th pick and eventual champion Villanova. A team making history should be worth more than a 2-seed winning the title, which has happened before. Four of the first six picks were essentially busts, while nailing Stephen F. Austin or Gonzaga late was a game changer. So who should you pick? You want teams that go far, but you want ones that go far unexpectedly. Anyone can put all the 1-seeds in their Final Four. Do you think (10) Wichita State can make a real run? You’re screwed if you pick them in your bracket and are wrong, but they might make a great 3rd round sleeper here. You’ll probably want to spread your teams out. If you pick Gonzaga, Notre Dame, Northwestern, and Bucknell, you’re cornering yourself because four of your teams are fighting for the same Elite Eight spot. And don’t just blindly pick the top seeds. If you really think Villanova might lose in the second round, don’t make them your first pick! If they lose to Wisconsin or Virginia Tech, you get nothing. Look at Bobby’s team above. His strategy was to keep taking the best seed available each round. It turns out there’s a reason everyone else was avoiding those teams. Of course you can tweak the scoring if you like. Maybe you add decimals or want separate scoring for every seed. Go ahead, have fun with it. May the best drafter win! Follow Brandon on Medium or @wheatonbrando for more sports, humor, pop culture, & life musings. Visit the rest of Brandon’s writing archives here.